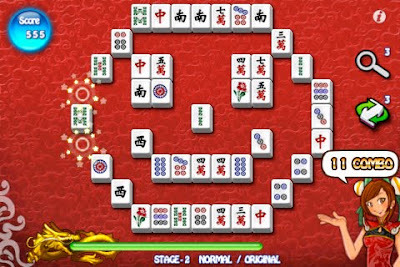 2010 Mahjong is a board game made up of Mahjong tiles. You can clear stages when all the tiles are eliminated by connecting a pair of tiles which have the same picture. Removable tiles are those connected by a straight line and a once or twice broken line. Irremovable tiles are those connected by a three times broken line and blocked by other tiles. 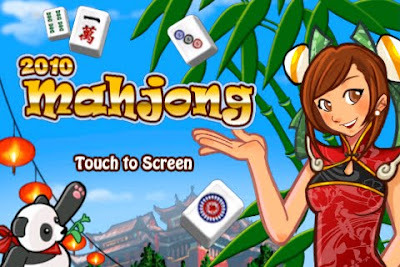 - Proceeded to the higher degree of the difficulty which leads a user to learn the Mahjong. 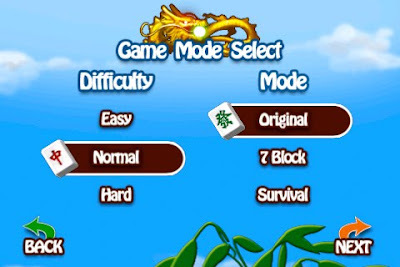 - Various types of game modes such as “Original Mode” for a default game rule, “Seven Block Mode” eliminating numbers in order, “Survival Mode” that new tiles appear as time goes by. - Exciting features such as breaking new records, tiles and background rewards of various designs.